On July 18, 2018, DISCIPLINA, the first blockchain to create a unified personal profile on verified educational and career achievements, will launch a tokensale that will last till July 19, 2018. The project is currently running a private presale that will end on July 16, 2018. Right after this, the project will launch a public presale that will last till July 18, 2018. To implement the idea of the project, the team decided to develop its own blockchain architecture, since none of the existing solutions suit the needs of the project. DISCIPLINA will store confidential information, such as personal data, students’ grades and test results. This data needs to be confidential and transparent at the same time. DISCIPLINA is a private-public blockchain. This is done to store private and personal user data, as well as those materials that are protected by copyright or commercial confidentiality. The private element will allow only the hashes of the records into open access, while the private element will provide the access to the data that verifies the integrity of the private chains and the reliability of the data stored by the network. This blockchain will allow users to digitally store the data on personal achievements and provide access to that data through a unified platform, guaranteeing its permanence and credibility. DISCIPLINA will allow its users to give grades and generate a personal student score. The development of such a blockchain will allow recruiters to search for candidates according to their achievements and fields of expertise, and students – to establish a clear career path. This is an open-source blockchain: any educational or recruiting service will be able to use this blockchain in their projects. 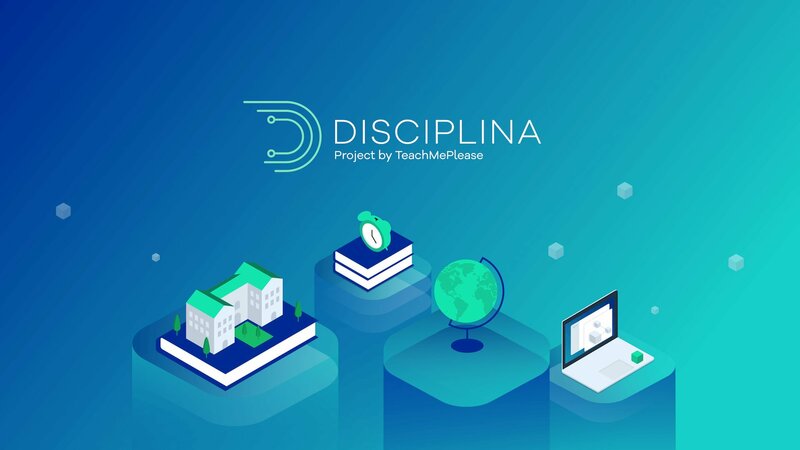 The first project to employ the DISCIPLINA blockchain will be TeachMePlease – a platform where the development of DISCIPLINA originates. The project is being implemented by the TeachMePlease team from Saint-Petersburg in partnership with Serokell – an international company that specializes in the development of distributed systems and that took part in the development of the Cardano cryptocurrency. DISCIPLINA is supported by the list advisors with diverse experiences. Among them are Antonio Menéndez Sierra – an experienced specialist in training and coaching, George Basiladze – financial expert and CEO of Cryptopay and Jason King – co-founder of the world’s first blockchain school Academy. Another one advisor of DISCIPLINA is Kenji Sasaki, one of the Cardano co-founders. He has invested in the DISCIPLINA, since he has no doubts about the project’s success. Bonuses: The participants of the public presale will receive a 10% bonus and will be able to apply for a token freezing period, which will give award them with up to 6% in bonuses. Conditions: The minimum purchase amount is set at 10 ETH. To participate in the presale, you will need to go through KYC and whitelisting. DISCIPLINA tokensale (ticker DSCP): July 18, 2018 – July 19, 2018. In addition to the above bonuses, there is a referral program, that lasts throughout the campaign and gives you a 5% bonus.